The ONEcleaner Surgical instrument cleaning detergent lubricating enzymes break down all forms of proteinaceous bioburden from surgical instruments. Surgical instrument cleaning detergent enzymes clean the surface of surgical instruments. 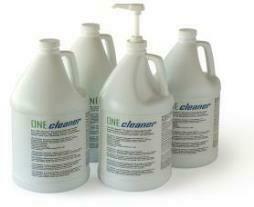 0225-30 Enzyme Detergent Surgical Instrument Cleaners, 30 gallons. Send can a TEXT message to Customer Service by entering text in the space below. 'Click' on the Submit button to send your message. Include your Contact Information within your message to enable our reply.